Politicians are supposed to 'campaign in poetry, govern in prose'. In the course of General Election 2016 our politicians appear to have bypassed both poetry and prose and gone straight to polls as the basis for their campaigns. I miss the poetry. 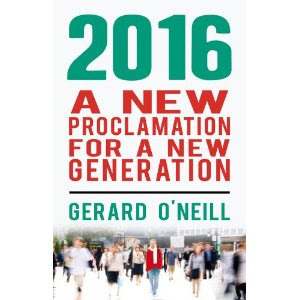 The 1916 Proclamation gave us poetry, the 1937 Constitution gave us prose. It is remarkable - to me at least - how absent poetry is from a general election campaign in the centenary year. Instead of a vision for Ireland in which all its citizens can flourish together with their families and communities, we get little more than glorified shopping lists. I think this explains much of the ennui we have seen over the course of the campaign, and why so many intend voting independent - if at all. It's as if we are electing a county council, such is the absence of any sense that we are shaping the destiny of our nation. Of course, the ennui may be justified. Ireland is a small economic region in the eurozone, and a minor political constituency in the European Union. Yes, we do get to tweak our taxes and welfare arrangements a little (subject to Brussels approval), and to change the words in our constitution (subject to the European Court of Justice). Perhaps we really are electing a county council of sorts? And there's the rub: if politics only matters because it is the process by which we select those charged with managing the country, then why limit ourselves to such an arcane practice as a General Election? Do we really need all those political parties; do we really need all those candidates; do we really need all those voters simply to appoint new management for this part of our small island? What need have we for an 'august destiny' when the task is merely one of divvying up the 'fiscal space'? So back to poetry, and back to 1916. The Proclamation wasn't a shopping list, nor was it tested in focus groups. Rather it articulated the motivations and vision of an eclectic group of poets, shopkeepers, intellectuals and trade unionists that did not say 'leave it to us' but rather called on the entire nation, on all of us, to play our part in creating a better future. The prose came later. It's not too late for poetry.